"Allah will expand that day to such a length of time, as to accommodate the kingdom of a person out of my Ahl al-Bayt (family) who will be called by my name. He will then fill the Earth with peace and justice as it will have been filled with injustice and tyranny before then." ~ Sahih Tirmidhi, V2, P86, V9, P74-75. The Mahdi, was prophesied to come by The Prophet Muhammad. He was relatively explicit. He said "he would be of my family, he would have the same name as mine, his father's name will be the same name my father's (Abdallah) he will have a broad forehead, a long nose and an A shaped gap in his teeth." 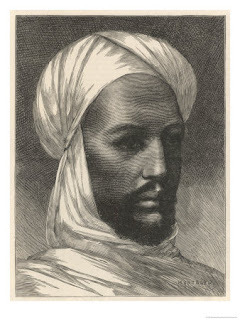 Muhammad Ahmad Al-Mahdi was born to Amina and Abdallah in the Sudan in 1845 posessing all these attributes and qualities. "His outward appearance was strangely fascinating, he was a man of strong constitution, very dark complexion, and his face always wore a pleasant smile. He had singularly white teeth, and between the two middle ones was an A-shaped space, which in the Sudan is considered a sign that the owner will be blessed. His mode of conversation, too, had by training become exceptionally pleasant and sweet". ~ Father Joseph Ohrwaled, an Austrian Missionary in Sudan. The son of a Dongolah boatbuilder, Muhammad Ahmad had become the disciple of Muhammad ash Sharif, the head of the Sammaniyah spiritual order. Later, as a shaykh of the order, Muhammad Ahmad spent several years in seclusion and gained a reputation as a mystic and teacher. In 1881 Muhammad Ahmed declared himself Mahdi (Guide) so as to prepare the way for the second coming of the Prophet Isa (Jesus). His purpose was to restore Islam to it's orgininal purity. "After consulting the ulama", Egyptian authorities (who were then under British rule) "attempted to arrest him for spreading false doctrine." A military expedition was sent to reassert the government's authority on Abba Island, but the government's forces were ambushed and defeated by the Mahdi’s companions (the Ansar). His purpose was to restore Islam to it's orginal purity. The only problem was that he came into the world during the time of British ascendancy. The government paid more attention when his religious zeal turned to denunciation of tax collectors. To avoid arrest, the Mahdi and a party of his Ansar made a long march to Kordofan. 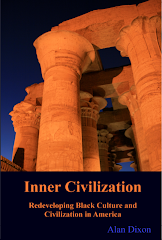 There he gained a large number of followers, especially from the Baqqara. There he wrote to many Sudanese tribal leaders and gained their support, or at least neutrality. 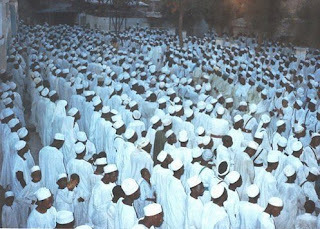 They were also joined by the Hadendowa Beja, who were rallied to the Mahdi by, Uthman Digna. Early in 1882, the Ansar, armed with spears and swords, overwhelmed a 7,000-man Egyptian force not far from Al Ubayyid (El Obied) and seized their rifles and ammunition. The Mahdi followed up this victory by laying siege to Al Ubayyid and starving it into submission after four months. The town remained the headquarters of the Ansar for much of the decade. Eventually the British Crown sent it’s commander General Charles Gordon. Abdul Rahman Al- Mahdi (The Mahdi's son). Apparently convinced he was dealing with just another petty tyrant who, like all petty tyrants, has a price, Gordon sent a letter to the Mahdi, announcing his magnanimous decision to grant the Mahdi the positionof sultan of Kordofan. This, to a man who not only controlled Kordofan already, but who was about to take Khartoum, thus completing his unification of the nation! Adding insult to injury, Gordon sent along with the message ceremonial red robes and a tarbush. The Mahdi responded: ``Know that I am the Expected Mahdi, the Successor of the Apostle of God. Thus I have no need of the sultanate, nor of the kingdom of Kordofan or elsewhere nor of the wealth of this world and its vanity. I am but the servant of God, guiding unto God and to what is with Him....'' Three Ansar delivered this note to Gordon, returning to him the red robes and offering the garment worn by the Ansar: a patched jubba (robe), with the invitation that Gordon, repent, adopt Islam and follow the Mahdi. Sayyid Sadiq Al Mahdi (the great grandson of the Mahdi). Gordon was defeated at Khartoum in 1885. The British have never fully recovered from their experience with the Mahdist state, which lasted from the early 1880s to 1898. This was an independent, sovereign Sudanese state founded by a charismatic African leader which treated the colonial British as no other nation had done. 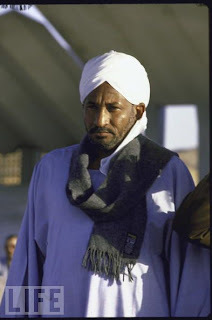 "The Mahdi", according to a commemoration published in the Khartoum monthly Sudanow (December 1991), ``was the leader of the first African nation to be created by its own efforts''. 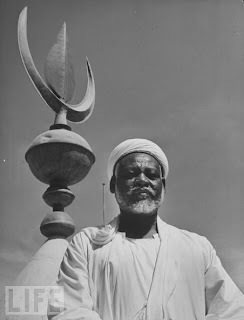 The British eventually made peace with the Sudanese under the Mahdi’s son AbdurRahman (pictured above). 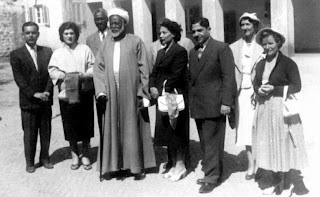 Also pictured is the Mahdi’s great grandson Sayyid Sadiq who was ousted in the early 1980’s by a Sunni led military government that later imposed a strict sharia on the Sudan and which is involved along with current prime minister Bashir in the genocide against the populace of western sudan.